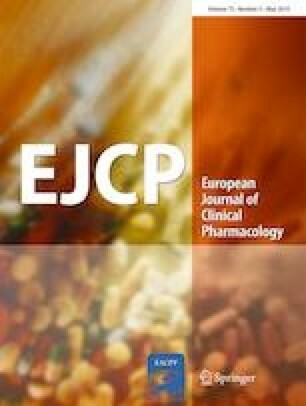 Effect of Roux-en-Y gastric surgery on ciprofloxacin pharmacokinetics: an obvious effect? To evaluate pharmacokinetic parameters of ciprofloxacin in patients undergoing Roux-en-Y gastric surgery (RYGS). Controlled, single-dose, open-label study in patients undergoing RYGS. Healthy overweight/obese patients 18–60 years old were included. The assessment was performed once in control patients and three times in case patients (before surgery and 1 and 6 months after surgery). In each visit, the subjects received a single oral dose of ciprofloxacin 500 mg. Venous blood samples were obtained at baseline and 0.5, 1, 1.25, 1.5, 1.75, 2, 2.5, 3, 4, 8 and 14 h after ciprofloxacin intake. Pre- and post-surgery variables were compared using paired ANOVA or the Wilcoxon tests and control vs cases using ANOVA or Mann Whitney. Given the post-surgery change in body weight, the parameters were corrected by dose (mg)/body weight (kg). The analysis was performed using SPSS. Ciprofloxacin Cmax was significantly reduced 1 month after surgery (1840.9 ± 485.2 vs 1589.6 ± 321.8 ng/ml; p = 0.032) but not 6 months after. Cmax on the sixth month was lower than Cmax in control group (2160.4 ± 408.6 vs 1589.6 ± 321.8 ng/ml; p < 0.001). After correcting by the dose (mg)/patient’s body weight, both Cmax and AUClast showed significant decrease 1 and 6 months after surgery: Cmax, 289.1 ± 65.3 and 263.5 ± 52.1 (ng/ml)/(dose (mg)/weight (kg)) respectively vs 429.3 ± 127.6 (ng/ml)/(dose (mg)/weight (kg)) at baseline; AUC, 1340.6 ± 243.0 and 1299.2 ± 415.4 (h × ng/ml)/(dose (mg)/weight (kg)) respectively vs 1896.7 ± 396.8 (h × ng/ml)/(dose (mg)/weight (kg)) at baseline. Cmax 1 month post-surgery showed lower values than the control group (375.4 ± 77.4 vs 263.5 ± 52.1 ng/ml; p < 0.001). Ciprofloxacin absorption is impaired 1 month and 6 months after RYGS. The effect on Cmax and AUClast faded on the sixth month due to weight loss. It is no necessary to modify the doses of ciprofloxacin in these patients. The online version of this article ( https://doi.org/10.1007/s00228-018-02623-8) contains supplementary material, which is available to authorized users. This study had the support of The Spanish Clinical Research Network (SCReN) funded by Instituto de Salud Carlos III-Subdirección General de Evaluación y Fomento de la Investigación (PT13/0002/0003) and co-funded by The European Regional Development Fund (FEDER). This study has been funded by Instituto de Salud Carlos III through the project PI11/01455 (co-funded by European Regional Development Fund/European Social Fund “Investing in your future”). The study protocol and informed consent documents were approved by the Hospital Clinico San Carlos Ethics Committee and by the Spanish Agency of Medicines and Medical Devices (AEMPS) prior to subject enrolment (EudraCT number: 2011-005609-61; ethics reference number: 11/128). After receiving the information about the study risks and benefits, all subjects signed the informed consent document. Case patients also signed an informed consent for the surgical procedure.